Get a taste of Tillamook Bay before ducking into a network of narrow salt marsh channels leading to the lightly forested Hall Slough. From a launch site nestled into a forested hillside, we willl launch directly into the confluence of the Tillamook and Trask Rivers where they meet Tillamook Bay. 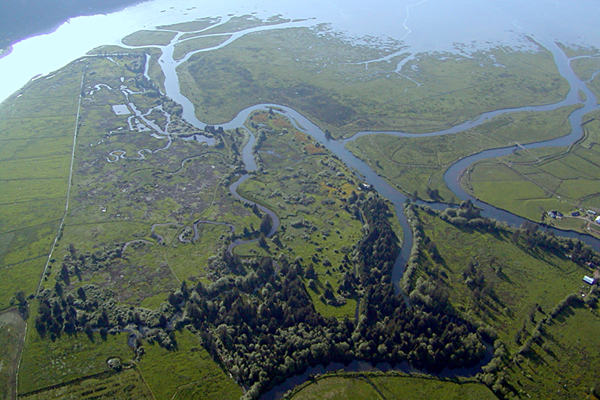 Come experience the interplay of tidal and fresh water systems while enjoying a dramatic backdrop of the bay, salt marsh delta and not so distance coastal mountain range. Harbor seals and sea birds are often seen in this section of Tillamook Bay.